LONDON -- Britain's biggest automaker, Jaguar Land Rover, urged Britiish lawmakers to rule out the possibility that the UK leaves the European Union without a trade deal while Ford Motor said a no-deal Brexit would be "catastrophic." JLR and Ford joined automakers including Vauxhall, BMW, Aston Martin and Honda in warning about the severe disruption to their UK operations if there was a no-deal Brexit that would see trade with the EU switch to World Trade Organization rules that companies say would disrupt supply chains relying on friction-free trade. JLR said it regretted a parliamentary vote on Tuesday when lawmakers rejected by a huge margin Prime Minister Theresa May's deal for leaving the bloc. "We are disappointed with the vote on the Brexit deal and are considering its implications," the company said in a statement. "We would now urge ruling out a no-deal immediately as the only option with majority support in parliament." Ford Chief Financial Officer Bob Shanks, said "Ford continues to view a no-deal exit as the least likely outcome given how damaging it will be. 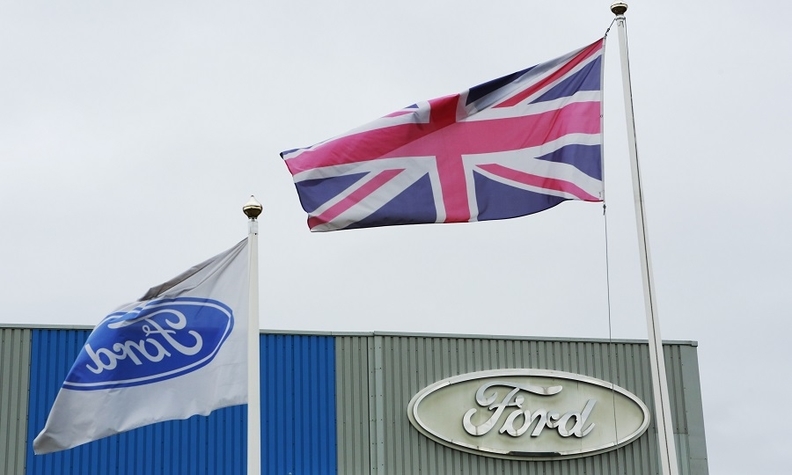 Such a situation would be catastrophic for the UK industry and for Ford’s operations in the country." Vauxhall said it was "extremely disappointing" that the threat of a no-deal Brexit had not been removed. Vauxhall’s French owners, PSA Group, has been weighing whether to close one of its two factories in the UK. Honda said a hard Brexit would seriously impact its European operations, even though it is implementing countermeasures. New checks at the border could disrupt its logistics systems, while tariffs on goods moving between the EU and UK would hurt its competitiveness, it said. "We now look to the government to deliver a clear, legally certain path forward to avoiding no deal and to delivering the conditions that support the continued competitiveness and productivity of our sales and manufacturing operations," said Honda, which builds the Civic compact car in Swindon, England. Toyota has said it would temporarily halt its production in the UK if Britain leaves the EU without a trade agreement, disrupting weekly revenue of 60 million pounds ($77 million) generated there, the company’s Europe President, Johan van Zyl, said in October. BMW, which owns two iconic English brands -- Rolls-Royce and Mini -- said the uncertainty of UK and EU trade relations are “greater than ever” and that it has to prepare for the worst. Volkswagen, which has boosted inventory levels in its second-biggest market in Europe, said open-market access and clear customs processes were paramount to the industry. "Any further delay in the Brexit decision-making process poses a risk to investments and jobs in the automotive industry which relies on long-term planning security with development cycles of up to five years," it said in a statement. "The consequences of a 'no deal’ would be fatal," German auto industry association VDA said. "Without an orderly and practical solution for business, jobs in the car industry, particularly on the British side, are on the line." In 2016, Britain was the largest single export market for German automakers, who sold 800,000 new cars there, or 20 percent of their overall global exports. Business leaders in Britain and beyond warned of catastrophic job losses and chaos at ports if the country does not agree a managed EU withdrawal. A disorderly Brexit would plunge Britain into recession for at least two years and lop a half percentage point off economic output for the rest of the EU, Deutsche Bank CEO Christian Sewing said. Freight and logistics firms predicted border chaos, with Jens Bjorn Andersen, head of Danish freight company DSV, saying customs checks on every truck crossing the English Channel could lead to 80 mile (130 km) tailbacks.